Abigail Hull is a Margaritaville college ambassador at Northern Kentucky University. You can follow her Margaritaville adventures on Instagram at nku.margaritaville. Learn more about Margaritaville University here. I thought long and hard about how to write a story about my travels that were so influenced by Jimmy’s music. So I decided the best way to portray the lyrical wanderlust that Jimmy Buffett evokes in his music is to create a playlist of my travels. A phono-documentary, if you will. On January 10, 2016, I left the land of Skyline Chili, goetta, and the original Parrotheads to study abroad in France for the semester. Note: I’m actually from Northern Kentucky, but if you tell people south of here that you’re from NKY, they think you mean Lexington…which is two hours away from me. On the contrary, if you tell a Cincinnatian that you’re from Cincinnati and you’re not inside the 275 loop, they’ll question you. This was my very first time ever flying, and it was an overseas flight from CVG to CDG. I was nervous, but I was ready to conquer the world…or at least Normandy. Luckily, I was in the row by myself, because my neighbor would have also been in the island state of mind with how loud I was blasting Jimmy Buffett music. It’s the only thing that can ground me when I’m worried (read: freaking out). But one way or another, I survived the flight. 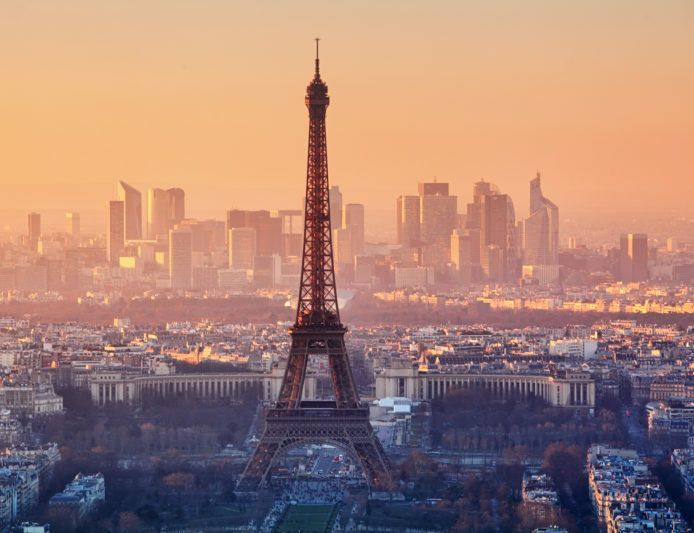 He went to Paris looking for answers to questions that bothered him so..
My friend and I arrived at Paris at 6 in the morning, exhausted. I felt like I had forgotten every lick of French I had learned in my four-plus years of formal training. PSA: Never take the Paris Metro with luggage. It’s not worth the price difference to just call a cab. 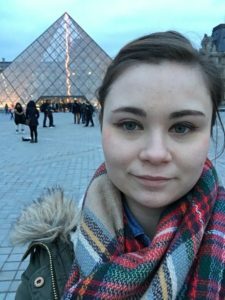 We had to maneuver our way through the underground city of Paris, each lugging a purse, backpack, and the largest luggage our flight allowed – oftentimes without an elevator or escalator in sight. By 8 a.m., we had reached our train station: la Gare de Saint-Lazare. After stumbling through our American version of French, we had our tickets, ready to go to Caen. 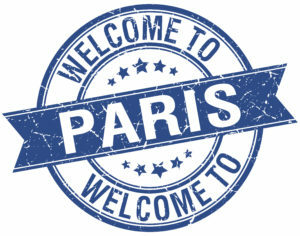 Oh, did you think I lived in Paris for a semester? No, my university had an exchange in Caen, about two hours from Paris. My entire time on the train was spent in a half-asleep stupor, listening to Jimmy Buffett music. The tropical places he sings about didn’t quite match my surroundings. In fact, my surroundings felt a bit more like…home. The rolling hills of Kentucky, the farms, the wineries, the horses, everything felt very familiar to me — like I had lived there my whole life. It had that certain je ne sais quoi. Caen was much the same, but the city felt like I had been transported back in time. By the time we reached Caen, it was 2 p.m., and as it does nearly every day in Normandy, it was raining. After navigating to our campus on the city’s tram, we wandered hopelessly around in the pouring rain, looking for the university housing office. We finally found it, attempted to speak French again, and got our keys to our rooms — luckily in the same building. We lugged our bags up the stairs to the fourth floor (again, no elevator), dropped everything off, and went in search of the biggest grocery store we could find. Carrefour was our best friend for the next five months. We bought everything we could possibly carry, and made our way back to our dorm to finally sleep. We had been awake for about 29 hours straight. I fell asleep listening to Jimmy Buffett once again, my dreams drifting away to more tropical, not-so-rainy locations. Classes were going well, I was learning and speaking French at a much more rapid pace than I was used to, and I was loving it. Our first break was coming up, so I decided to spend the week in Paris. I was finally getting my chance to explore the city. I decided to go on my own, just so I could stick to my own schedule. I had my AirBnb in the 20ème arrondissement booked, my bus ticket ready, and I was ready to explore. After the two-and-a-half hour bus ride, I was in Paris. The City of Light certainly lives up to its expectations. Day one brought me a nice, quiet dinner, and I got to see the Eiffel Tower light up right at 9 p.m. 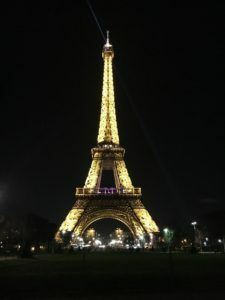 Seeing the Eiffel Tower was the final piece of the puzzle: I was officially in France, and I couldn’t believe it. I spent the second day at le Musée d’Orsay where I was able to see all of my favorite pieces and favorite artists. The Louvre was the only thing I did on day three. I think I was more interested in the architecture than the pieces inside (sorry, Ms. Mona Lisa). I spent day four shopping and touring the city, most notably taking a selfie with Montmartre, Le Moulin Rouge, and most likely my favorite of the whole trip, Le Palais Garnier, or rather, where it’s believed the story of the Phantom of the Opera takes place. The company even reserves box 5 for his use. After that, I spent the evening around La Sorbonne, and ended up buying the entire Harry Potter series in French. On my last day, I mailed all of my purchases back to the states, and made my way back to Caen on the bus. Not only was the city of Caen turning into my home, but I had also found my family. As nerdy as this may sound, I joined a Quidditch team in Caen, the Burning Hippogriffs. My team welcomed me with open arms, and I still Snapchat Jennifer (qui s’appelle Snape) and Cyril occasionally. Not only was it my way to stay active, but I was able to make some wonderful friends while practicing my speaking and listening skills. I picked up quite a bit of slang while at practice, and to this day cannot teach my brother how to play without accidentally throwing in a few French terms here and there. For our next break, a friend of mine from class and I went to London, and we decided it would be a good idea to take the ferry to England. Of course, I don’t do well with motion sickness, so I spent most of the trip humming along to Jimmy Buffett music, trying to keep myself from getting sick. Once in England, we had to make our way from the south of England all the way to the northern part of London. Our tour of the Harry Potter studio was fairly late at night, and we were still running late. We didn’t get to our AirBnb until nearly 11 at night. Needless to say, we crashed, woke up in the morning, had a traditional English breakfast, took our photos at King’s Cross, toured the Globe, had an all-American barbecue dinner that rivaled barbecue at home, watched some Londoners attempt to play beer pong, and made our way back to our ferry. We spent 24 hours in England, but it may have been one of the best days in Europe. Our finals quickly approached, which meant that soon after, we would all be heading home. My class spent more time together, having lunch each Friday after class, and Les Américains went to Mozzie’s and Café Latin a few more times. 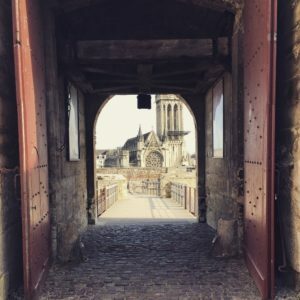 I had truly found myself in Caen, and I didn’t want to return home to my “normal” life in the States. How could I ever adjust back? I spent my last days in France hotel hopping with buses and cabs in between. I watched Friends and That’s So Raven in French, and even found Despicable Me 2 in German. At the hotel in Paris, I switched between French and English probably 20 times in 5 minutes – the true definition of franglais. I didn’t want to go home, but I knew I would be back someday – I had made it my new goal to see Jimmy Buffett play live in Paris. “Nothing remains quite the same,” says Mr. Buffett. And he’s not wrong. I came home and tried to readjust to life. 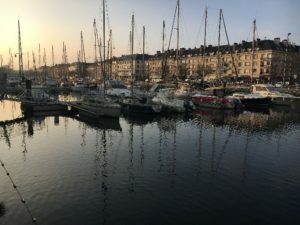 Although I did wake up the next morning thinking in French, I came home with only a slightly more fine-tuned sense of fine dining and a few idiosyncrasies of the Normandy region, such as the Gaelic shrug, and saying coucou to any child or dog that I see. But I was still Abby, and I was ready to conquer the world all over again. Think Abigail can make a playlist AND a video about her semester in France? Why, yes she Caen! Watch it here.